Considering this mobile phone's screen size (5.99 inches), its weight is reasonable. The Redmi S2 is the latest member of this growing family and comes hot on the heels of the Redmi Note 5, another bargain-basement marvel. 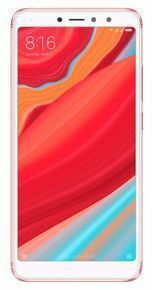 It’s blessed with a 5.99-inch HD display, Qualcomm Snapdragon 625 chipset, 3GB of RAM and – in its base configuration – 32GB of storage which can be expanded using MicroSD cards. Price lil a bit more, 8000 was ok.